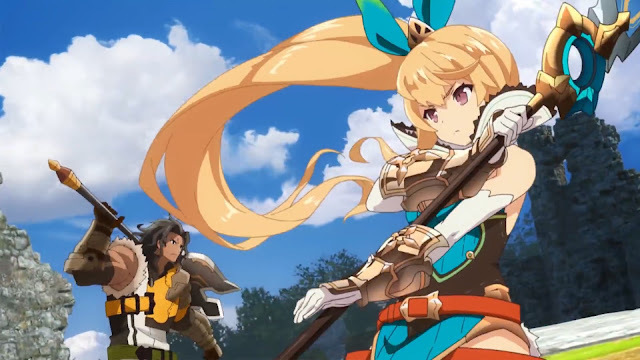 When I first saw Dragalia Lost and the effort Nintendo was putting into advertising it, I thought it looked too good to be a smartphone game. With small areas to run freely in, gorgeous character designs and many different systems to try, it seemed like a high quality smartphone game with depth to rival some console ones and that rings mostly true after playing it. Its main story has lots of good characters that it takes time to develop in both the main story and free side content, and thanks to daily rewards giving free summons, I could level these characters and get new ones without feeling as though I needed to pay. Dragalia Lost is a quality JRPG story for smartphones so far and with its likeable characters, rewarding systems and wealth of content, it’s become my new favourite smartphone game in a while. 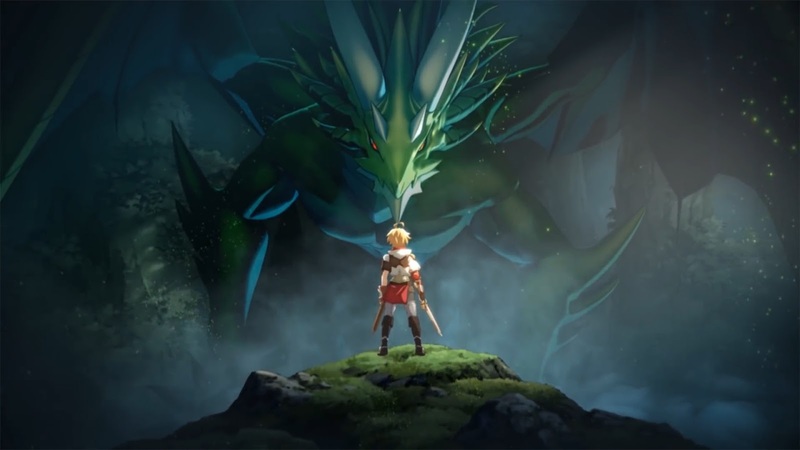 Dragalia Lost is centered around the nameable protagonist Euden, the seventh heir of the Alberien throne who sets out on a journey after the Holy Stone that protects the Kingdom of Alberia begins to lose its power. The Alberian royal family luckily possesses the power to shapeshift into Dragons, but Euden hasn’t formed a Dragon Pact when problems begin, so he sets out on his journey to form his first dragon pact to help protect his Kingdom. With his sister Zethia and childhood friend Notte by his side, Euden’s journey of finding dragons and protecting his kingdom takes him to many different places and the story explores the mysteries found along the way, including a mysterious masked figure met at the beginning of the story and has its share of twists and turns to keep things interesting. With its twists and turns taking the group in many directions, the story is good at building and developing the core group of characters throughout its bite-sized chapters. Throughout the first few chapters in Euden’s journey the core party members are found who all have their own personalities, like the Paladyn Elisanne and Mercenary Ranzal who hold strong positions in the party and journey but also have plenty of moments that show other sides of their personalities in a more humorous light. As a game with so many characters available in its gacha system, I was happy to still feel a connection to the core group and their dynamic through the main story chapters and the likeable cast are something that helps me keep playing because I want to see what happens to them in the story. Dragalia Lost’s story plays out through chapters, through a mix of story-only chapters that don’t cost any stamina, and battles and exploration-based ones with a field that usually include a boss battle or time limit. Story chapters play out in a visual novel style, while field stages are where gameplay elements come in, with your party placed into a field that you can more through by sliding your finger around the touchscreen to move in a direction. Treasure and monsters are also placed on the field and you can tap the screen to do a basic attack, along with utilising special abilities and the inclusion of these mean the mini maze like areas were more than just empty fields leading to the next boss battle. While some effort was put into keeping the fields engaging, I found bosses to be the most interesting part of the battle experience thanks to bosses getting progressively harder as chapters progressed and requiring me to think about when to use special abilities more carefully. The first two chapters didn’t provide much of a challenge since I could usually get enough attacks in to beat down the boss, with the occasional use of a special attack here and there. From chapter three onwards however, bosses started to become more powerful and aggressive, with them using more of the battlefield and doing directional attacks keeping me more engaged in running around to dodge attacks as necessary while trying to get a hit in. This element of challenge also encouraged me to use my equipped Dragons, which see the party leader shapeshift into a dragon that can do bigger and more powerful attacks and protect the leader from HP damage while looking really cool, so I’m glad these middle chapters have given me a reason to finally use them. I love smartphone JRPGs that have fields and active battles in general as it feels more engaging and with areas to run around in and fun boss battles, playing its battles is something I enjoy doing and since they don’t take too long, they’re a nice burst of quick active battle and strategy on the go. To take on Dragalia Lost’s challenges, whether you have great units or the standard story ones, your unit and team can be developed through Dragalia Lost’s many character upgrade systems. It starts off with simply leveling up in battle, then crystals are introduced that can be given to level up further, then Mana Circles come in that allow you to unlock stat buffs and abilities in a skill tree, then weapon upgrades, crafting and more systems for character building come in to make it a pretty deep process, with dragons and the royal castle also having their own leveling up systems as well. These systems work together to raise your party’s Might, an overall party stat that helps determine if you’re strong enough to take on a certain stage, and in spite of the sheer amount of mechanics they were all simple enough to use, especially since most of them have an auto button that gives the optimal boost options for those in a hurry. On top of there being so many of these, they weren’t all there at the start which stopped me from getting overwhelmed by mechanics as some smartphone games do, so I liked how the gradual rate they unlocked that made me feel like I always had something new to play with without giving me too much at once. Even the morning I started writing this I opened up the game to check some stuff, got sucked into a story round and unlocked yet another system that can help me farm materials and since I’m at chapter 4, I wonder if there are any other systems waiting for me later and whether I find more or not, I’m very satisfied with the depth these systems all work together to help me develop my characters well. 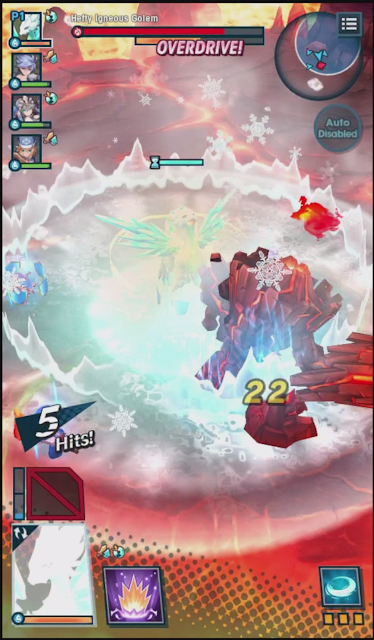 As many smartphone games have these days, Dragalia Lost features a gacha system for getting new units and Wyrmprints to equip to units for stat boosts and this system uses free in-game currency, along with the option of being bought with paid currency. The game gives you a free summon at the start, with a 10-summon that guarantees one four-star or higher unit costing a fair few of the in-game currency Wyrmite earned from stages, which could take a while if you were relying only on playing stages to get it. Thankfully, there are a few ways to pick up the in-game currency and I had a bunch of gifts when I logged into Dragalia Lost for the first time that gave me enough for multiple Tenfold summons and since the game has Daily Login Bonuses that give even more currency bonuses and other ways to get more of it, I haven’t ever felt like I was lacking in units in the game yet, especially since the level caps for all the characters I have are still quite far from being hit yet and I haven’t gotten the most out of all of them yet. To test out how much of a benefit getting a just a little premium currency, I did buy $5 worth to see if it was something I’d ever use and concluded I’ll probably just keep playing for free. 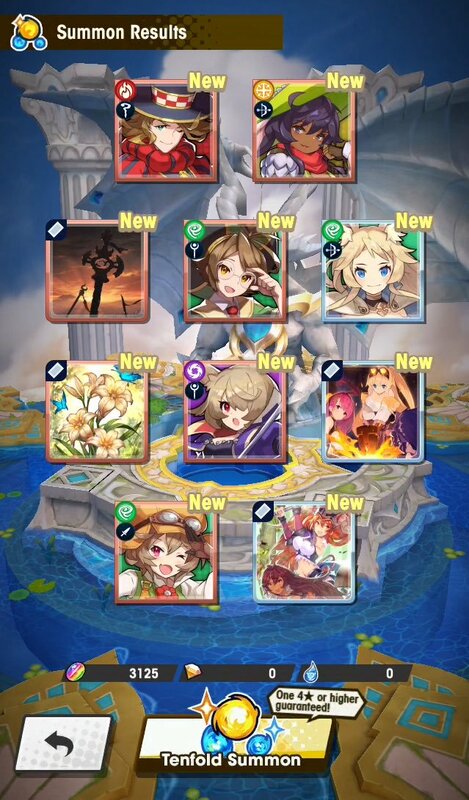 $5 worth of currency worked out to be 300 Diamondite, which pretty much serves the same purpose as the free currency Wyrmite and is only enough for a couple of single summons rather than a 10, so I’ve just been using it on the Daily Discounted Summon and for very occasionally speeding up castle development that relies on a timer, but I feel I’m mostly just using it because I have it since I haven’t run out of stamina yet naturally thanks to leveling up refreshing it and still have plenty of stamina refreshing items in my inventory if I do. Unless you plan to binge the game over a few days, you can probably find enough currency for a Tenfold Summon or so through other means or upgrade the units you already have to probably do a majority of the game without issue and while I’d like more characters just to see their story moments, I still have so much to do with the units I already have that I’m satisfied with playing for free and since I play smartphone games more casually than I do console ones, I think I’ll be satisfied for a while with all the Dragalia Lost gives for free. With multiple chapters to keep players busy with in its many stages, development systems and the limited time events that keep things fresh, you’d think there’s already enough to keep players busy in this free smartphone experience. In my opinion, there’s already plenty to do in the core campaign but Dragalia Lost kindly also provides a bunch of lore in the form of mini-comics and extra events, with plenty of extra story moments being available for the core characters alone. There’s the cute and funny Dragalia Life comic that gives short, fun moments with a wide-range of characters that I enjoy reading thanks to how quick and funny they are, and then there are also individual story episodes that are unlocked depending on who is in your party and how many story episodes you’ve unlocked in Mana Circles, with each offering free currency just for giving them a read. I have about 25 units at the moment and have more of these side story moments than I can get through in the small moments I play in and I love the effort that’s been put into fleshing out all of its core and optional units in such a deep way that made winning different units in the gacha system much more meaningful than just adding a new unit to my collection. 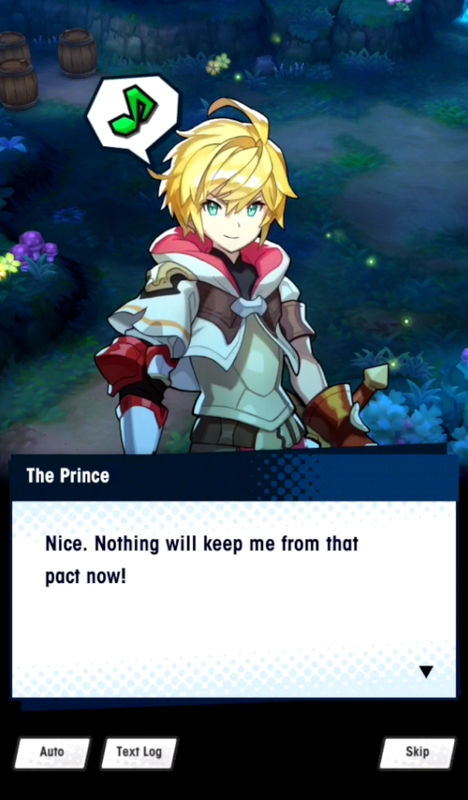 If you enjoy the light-hearted humour that Dragalia Lost’s characters have in the story, these moments both expand the world and have more of them and knowing there are so many makes me excited for a free moment where I can binge these and get to know its characters more in the fun, generous extra story moments the game has provided. I haven’t had a smartphone game that’s excited me like Dragalia Lost has for a while, but its deep systems and story that gives plenty of reasons to come back to it make it my newest go to smartphone JRPG. Its core story full of dragons, interesting plot and amusing characters makes playing its story go well beyond being a just premise for the next battle like other smartphone games and the cool character designs along with their side stories to get to know them added a ton of value to one’s I won in the gacha regardless of their rating. All in all, Dragalia Lost’s generous world building story has given me more reasons than I needed to play and with fun gameplay on top a great amount of content, I look forward to spending more time with it and seeing how it progresses as a smartphone experience and new IP. You can download Dragalia Lost for iOS here and for Android here! Have you played Dragalia Lost? What did you think of it?